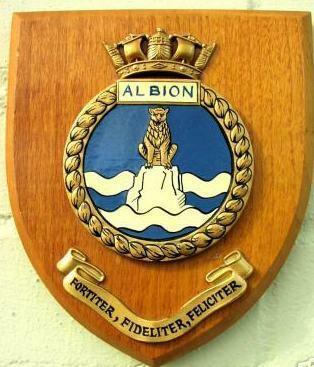 The eighth ship to carry the name was a 22,000 ton Centaur class light fleet carrier of the Royal Navy. She was built on the Tyne by Swan Hunter. Her keel was laid down in 1944, she was launched in May 1947, but she was not fully completed until May 1954. 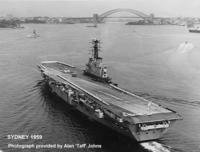 This Aircraft Carrier was used for the deck trials of the DH 110. 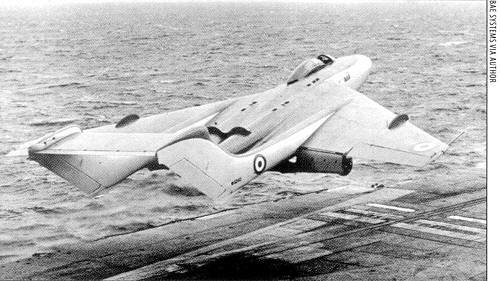 The De Havilland DH 110 was the forunner of the Sea Vixen. Three DH110 prototypes were built. The first prototype crashed at Farnborough. The second prototype crashed in Africa on hot weather trials after an engine injested a vulture. The crew ejected safely. The third DH110 prototype WG 240 conducted flight deck evaluation trials with HMS ALBION in September 1954. 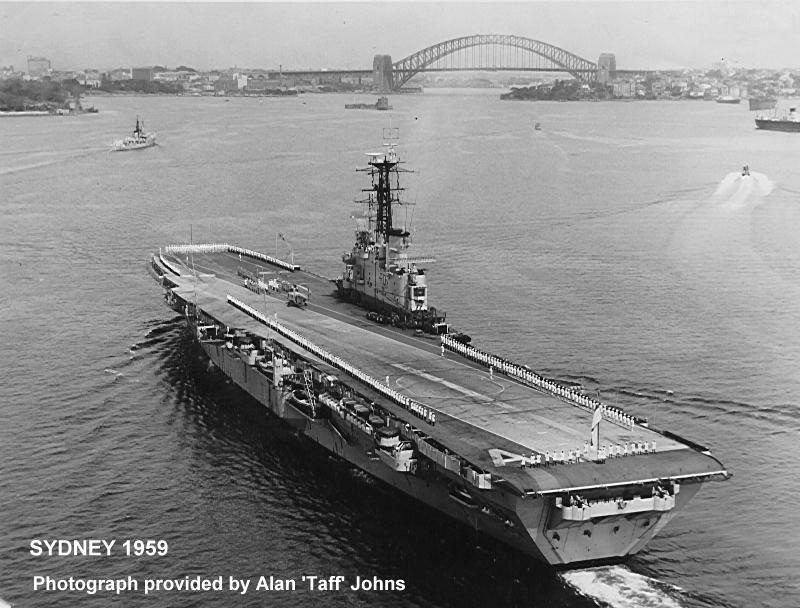 This aircraft did not have wingfold capability nor was the undercarriage strengthened for carrier deck operations. Seen here with the De Havilland Test Pilot Jock Elliot at the controls.